Go to www.uber.com/careers and enter the information of the job you want to apply for, including keyword, team, country and city. After setting your search criteria, all current job opportunities matched your search information are listed. Select one that you like. There are detailed description about the job you have selected, such as responsibilities of the job, requirements, benefits and so on. 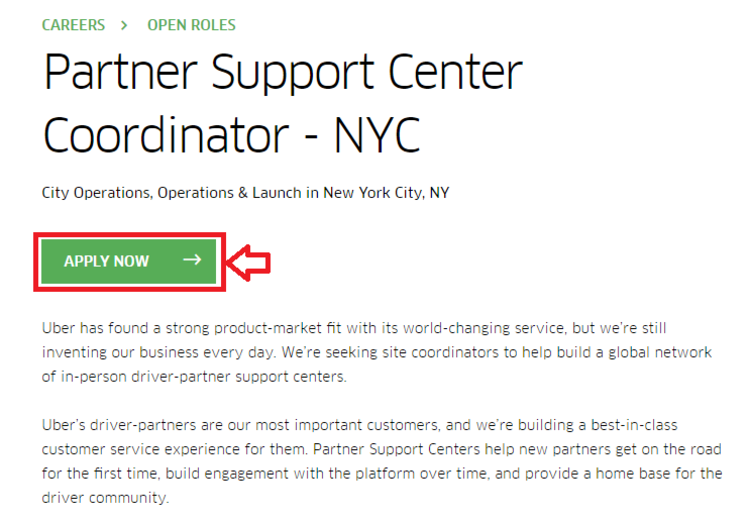 After you have known about the job you want to apply for, click “apply now” up or under the description to go on. Register your Uber account with your social account (among the three it gives) or just create your own profile. After that, your resume and basic personal information are needed. 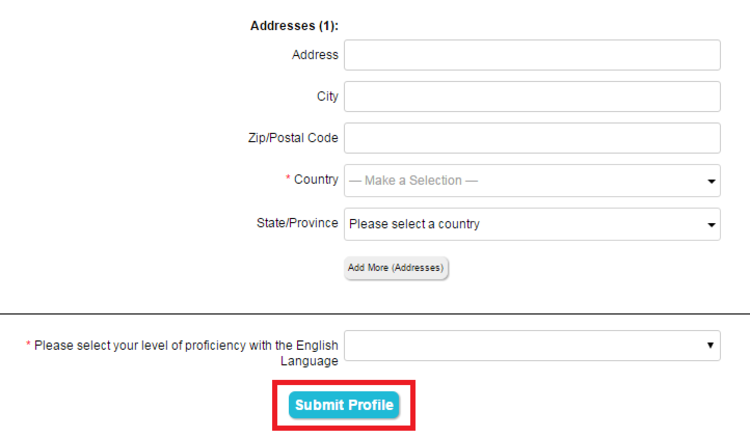 After filling in the form, click “submit profile” at the bottom. All candidates need to answer several questions. Once finished, click "submit" below to enter next step. 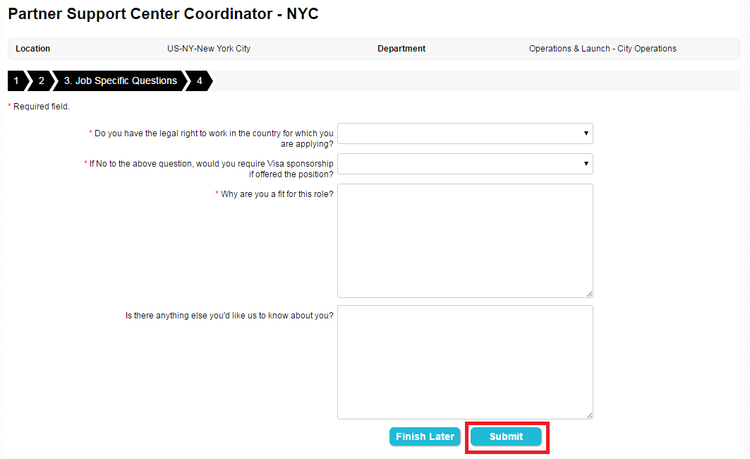 After you have answered the questions, click "submit" below to finish your online application. Click uber.com/jobs to apply for Uber jobs online.